Currently free, but changing soon. We know that if you give HerdBoss a try that you will see how powerful it is. 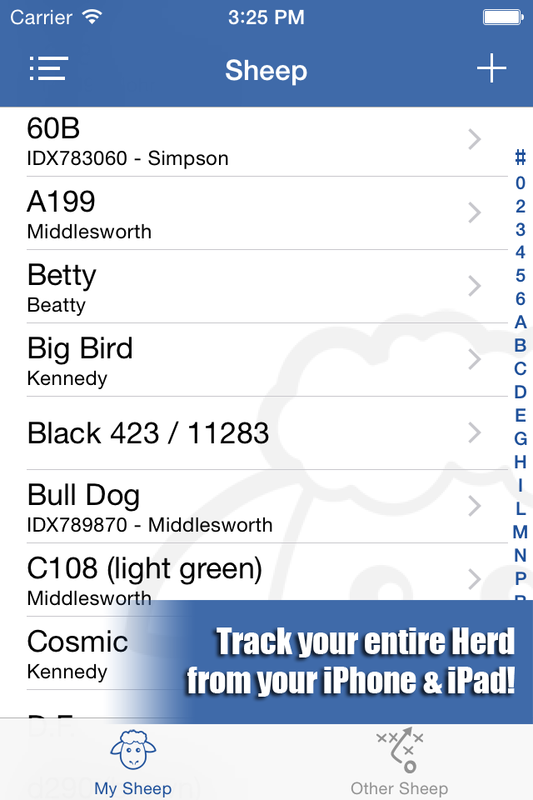 Once you have your flock loaded, you'll be happy to have all of your information available at your fingertips even when out in the field. We have staff available to help you get your flock loaded into the system. The power of HerdBoss is really apparent once you have your flock entered. We also have an Export Feature which will let you export everything to Excel spreadsheets. If you decide you don’t like HerdBoss, you can always export your data to spreadsheets and still have all of your data. When you use Herdboss, your data is always yours. Thanks for trying HerdBoss. Please let us know if you have any additional questions or if we can help in any way.